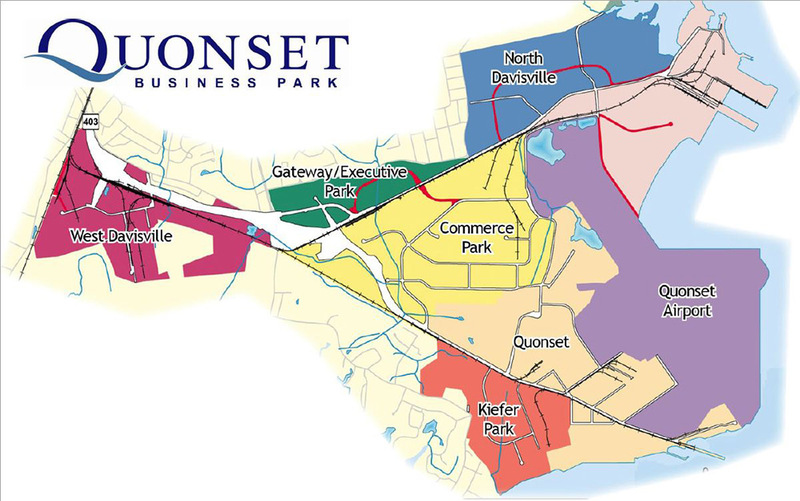 Quonset Development Corporation enlisted the help of DiPrete Engineering to plan, engineer, permit, and compile Site Readiness Packages for 46 individual parcels within the business park. Sites range from 1 to 47 acres with building sizes between 8,500 and 100,000 sf. Through Environmental Site Assessments, land planning, stormwater analysis and more, the parcels were transformed into marketable packages that Quonset relies on to solicit end-users for the park. This pre-permitting program took large underdeveloped parcels and created shovel-ready building sites. This is the largest project of this type in the State of Rhode Island and has already been instrumental in several larger businesses relocating to the Quonset Business Park.